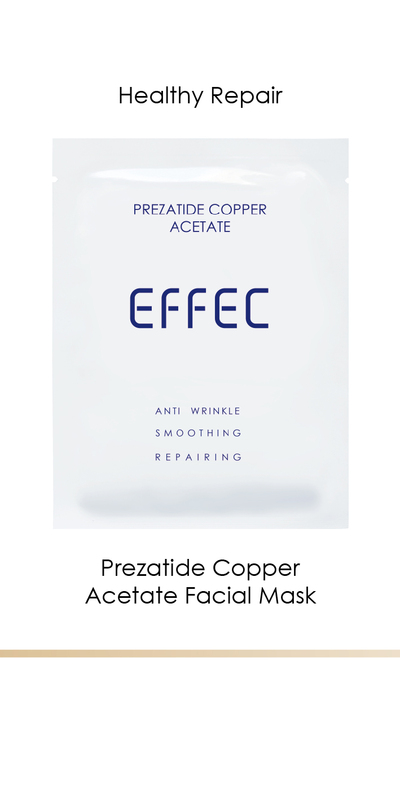 Prezatide Copper Acetate Facial Mask – EFFEC Skin Care | Simple, Efficient Anti-aging & Natural Skin Care Routine. 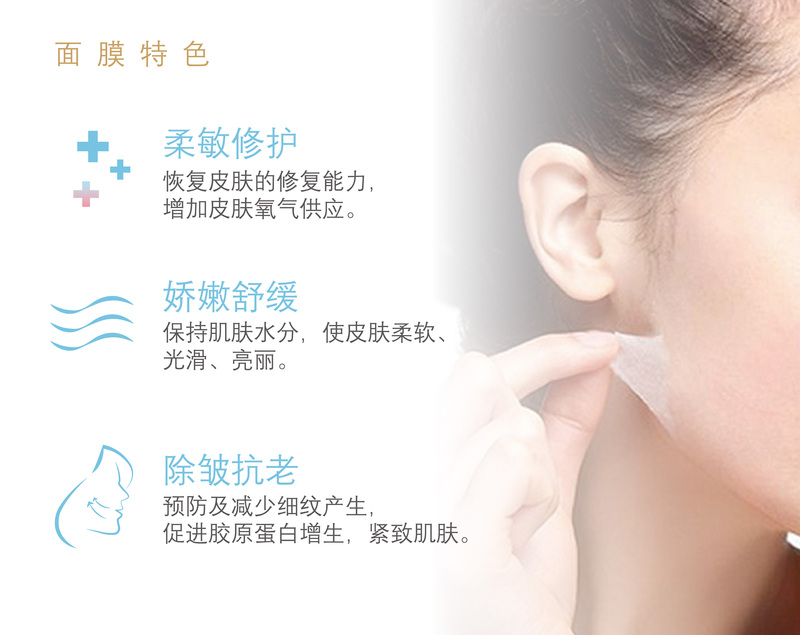 Healing wound and acne skin increase skin oxygen supply with EFFEC skin care repairing mask. 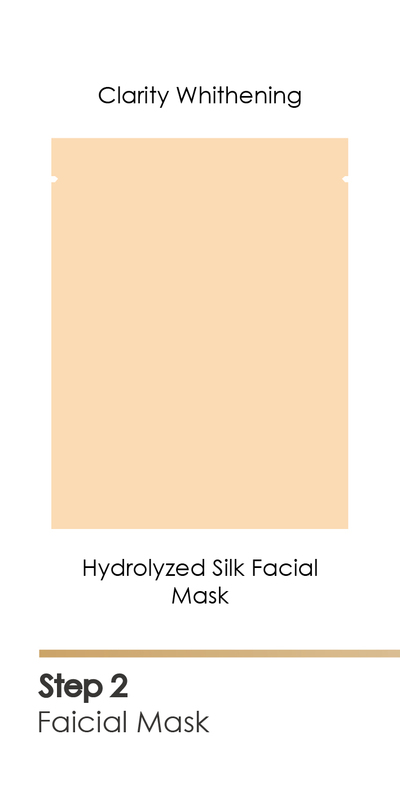 Help your skin retain moisture, made to leave your skin soft, supple and smooth. 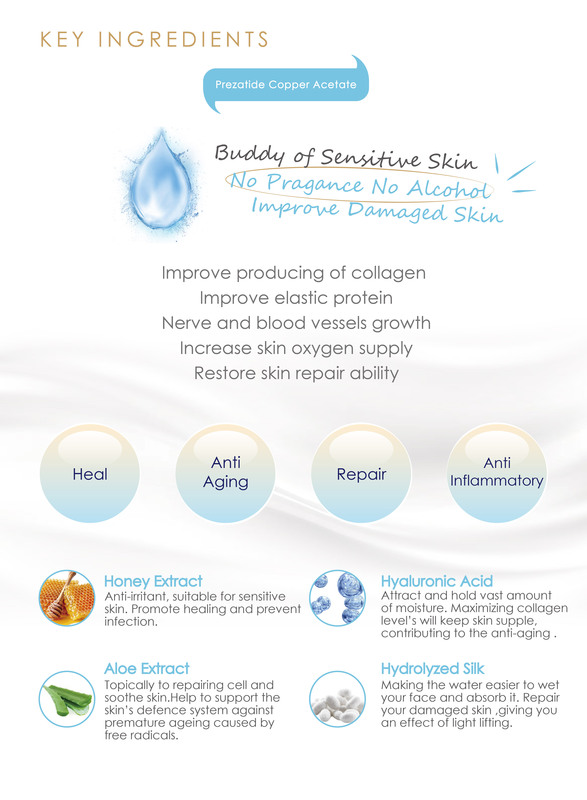 To promote producing of collagen help your skin retain moisture, reduce fine line and firming skin. 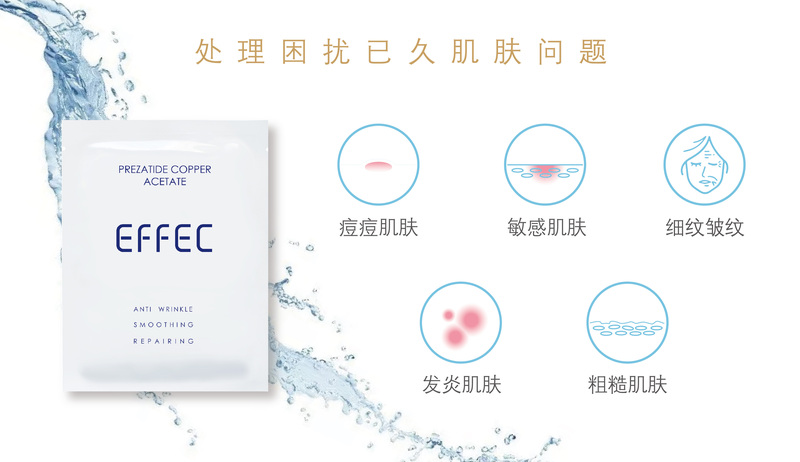 What is Prezatide Copper Acetate? 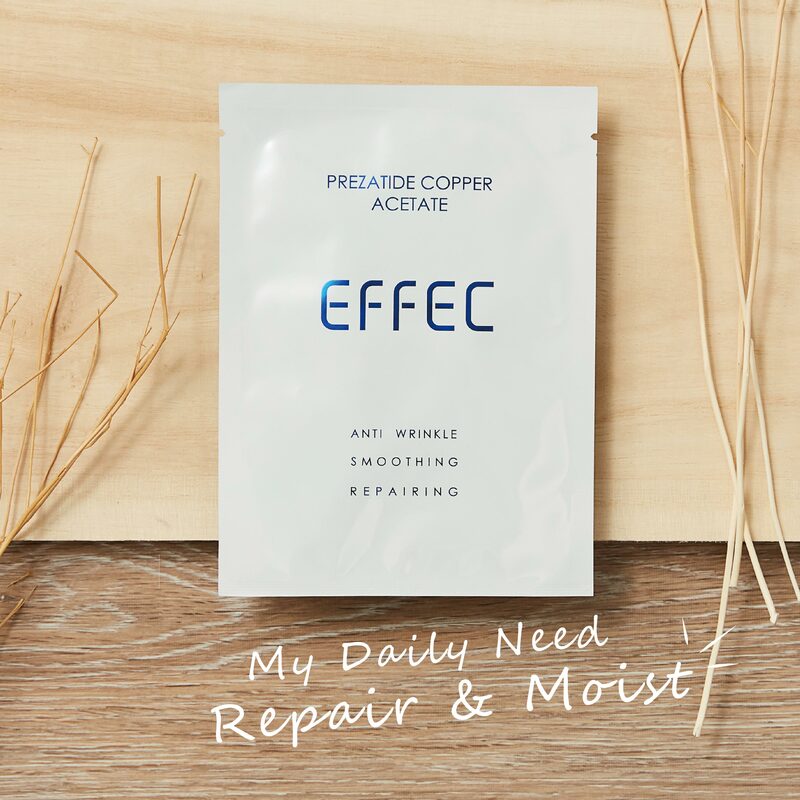 Advanced luxury maintenance, Prezatide Copper Acetate. 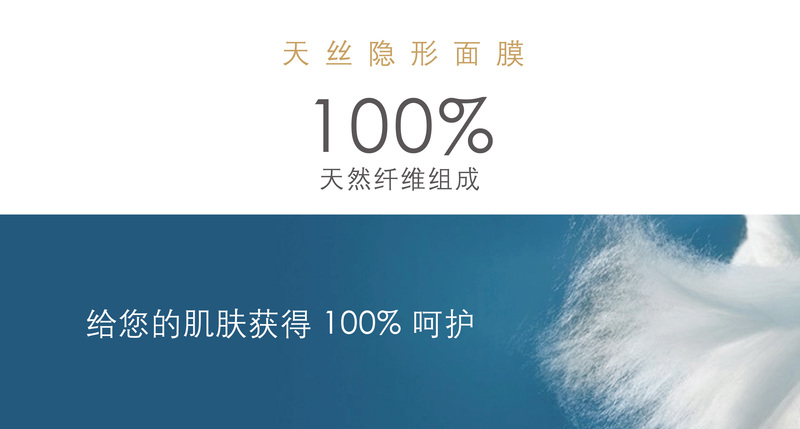 It is one of the important elements what the skin needed. 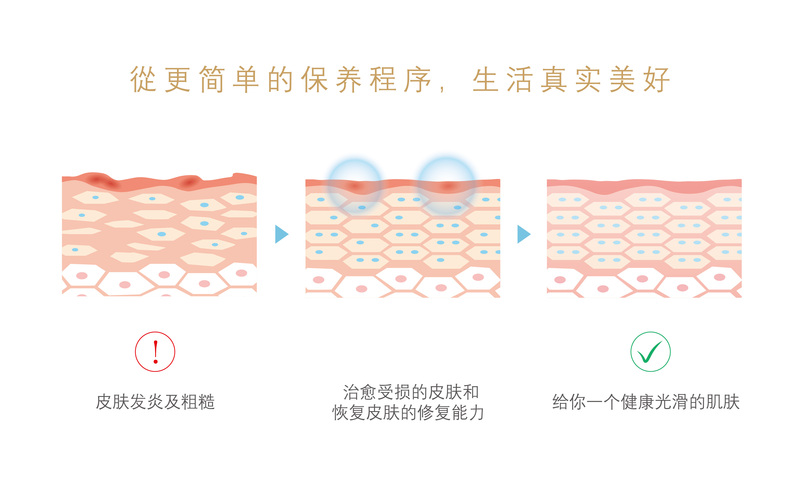 With it, skin will be strong and elastic, can become a barrier to protect the skin against aging stimulus from environment, in addition to stimulating collagen hyperplasia and repairing wounds, also can improve firmness of skin, repair the skin from the inside out, let your skin youthful and brilliance. 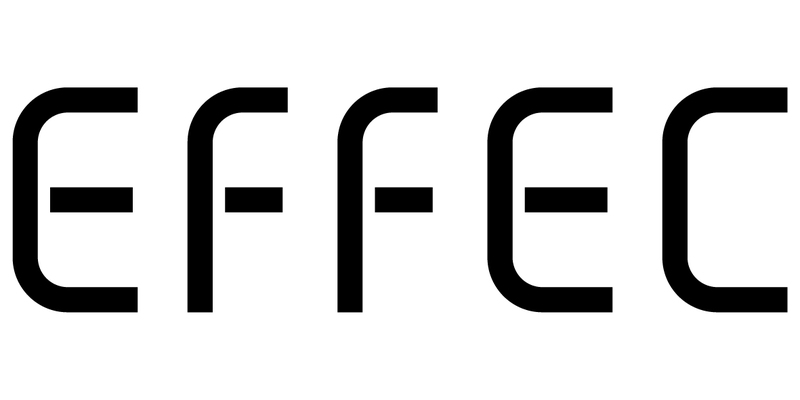 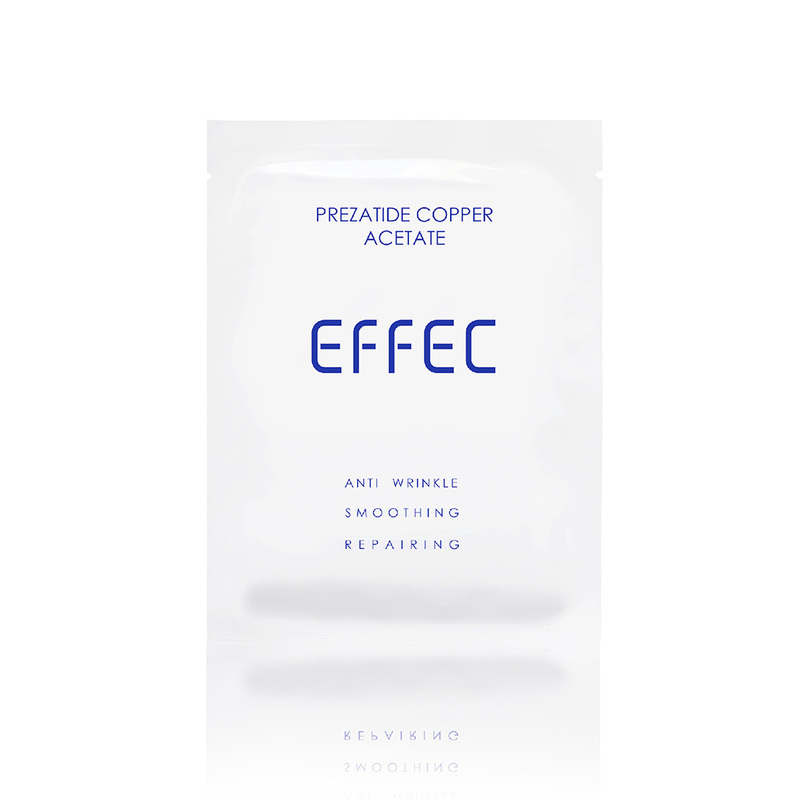 What difference between EFFEC’s Prezatide Copper Acetate and commercial products? 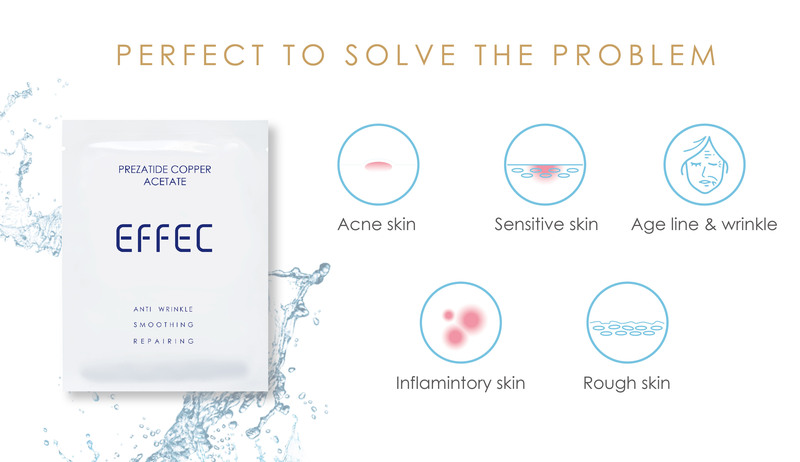 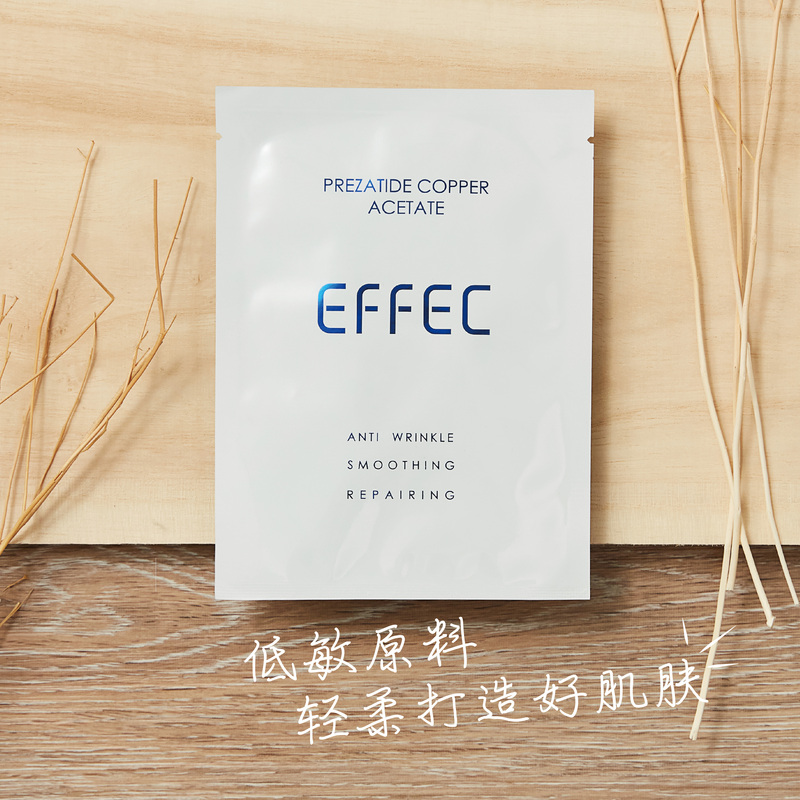 EFFEC's Prezatide Copper Acetate repair mask contains the anti-aging ingredient. 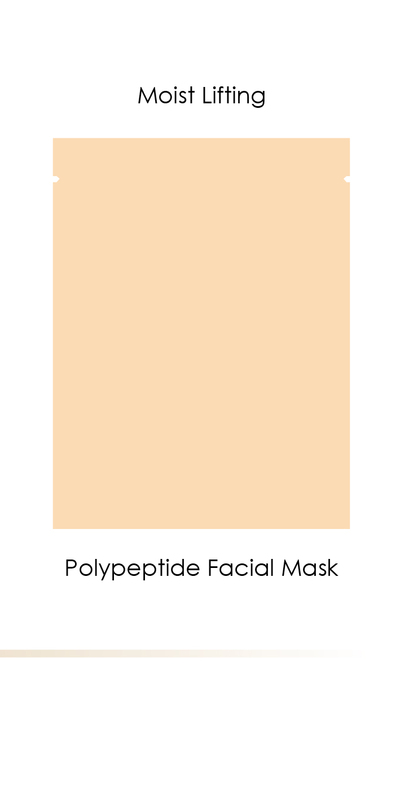 It is mildest formula for anti-aging and anti-wrinkle.Can increase the vitality of cells and gradually repair the loss of collagen without harming or irritating, reduce fine lines, uneven complexion and dullness, but also prevent the aging caused by aging factors, maintain skin elasticity and smooth. 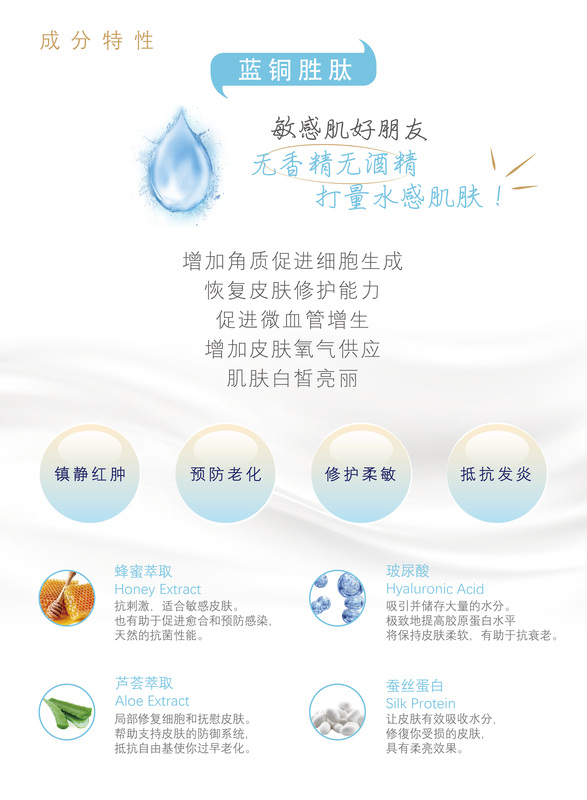 Attract and hold vast amount of moisture. 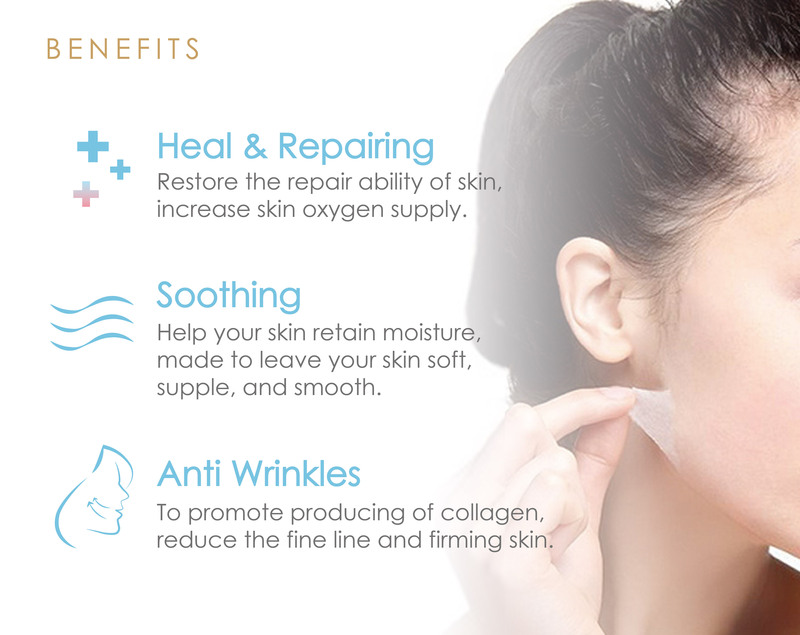 supple,contributing to the anti-aging . easier to wet your face and absorb it. 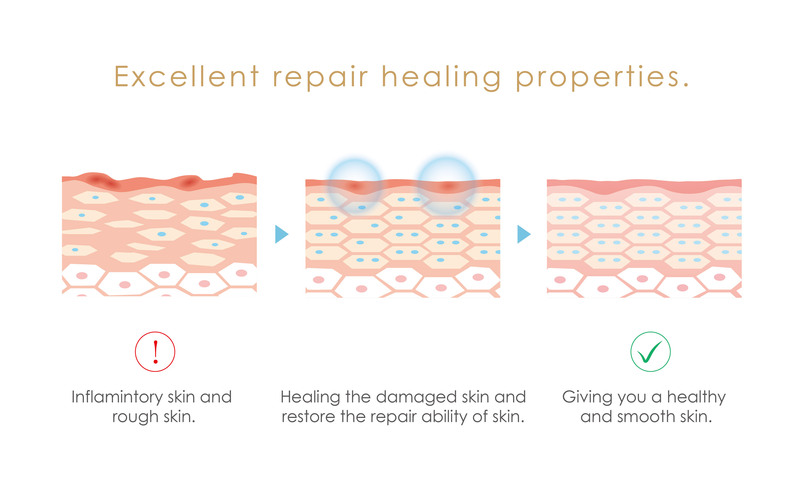 Also giving you an effect of light lifting.